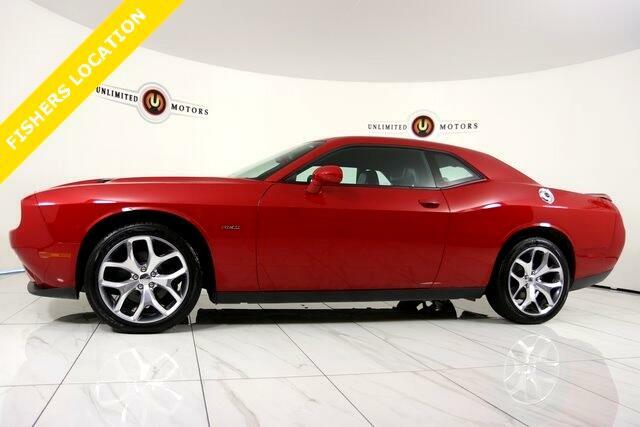 Heated Seats, 2016 Dodge Challenger, Warranty Available, Backup Camera, Bluetooth, Hands-Free, Challenger R/T Plus, 2D Coupe, HEMI 5.7L V8 Multi Displacement VVT, 8-Speed Automatic, RWD, 276 Watt Amplifier, Auto High Beam Headlamp Control, Rain Sensitive Windshield Wipers, Remote keyless entry, Security system, SiriusXM Traffic, Sound Group, Technology Group. CARFAX One-Owner. Clean CARFAX. Odometer is 2317 miles below market average! Priced below KBB Fair Purchase Price!